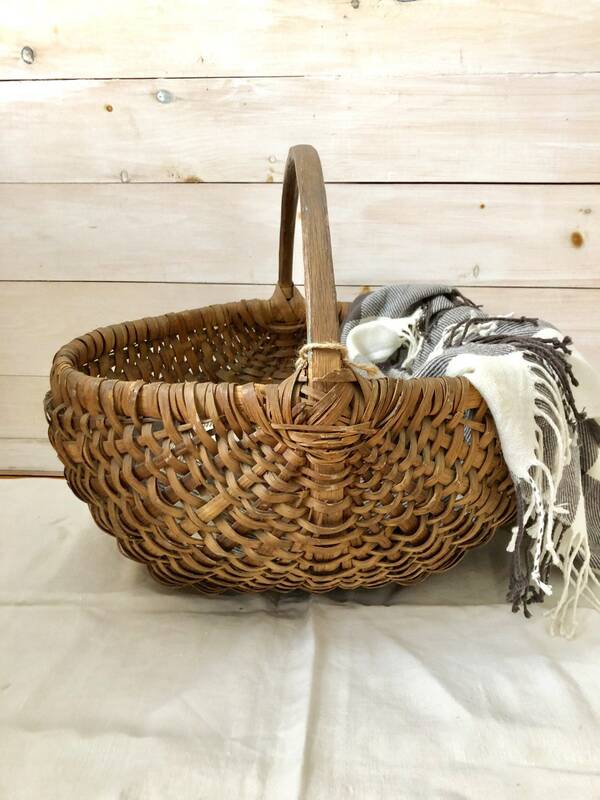 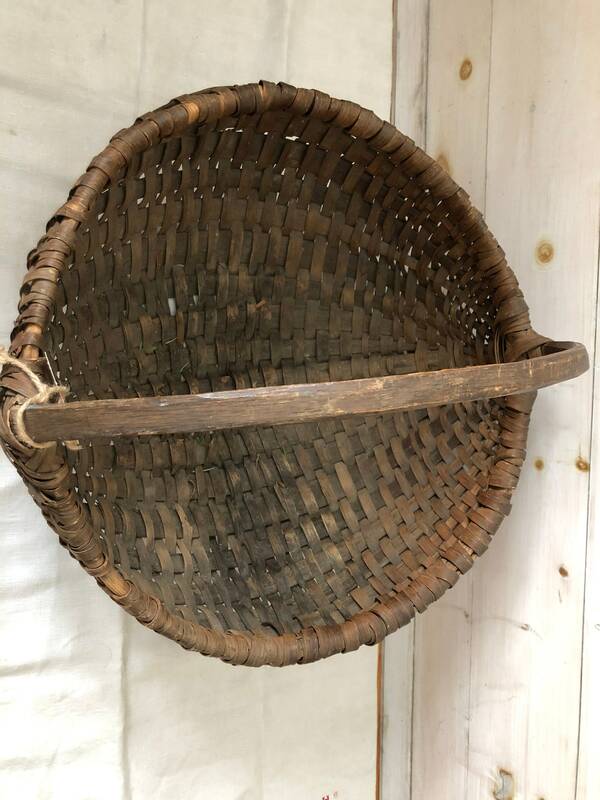 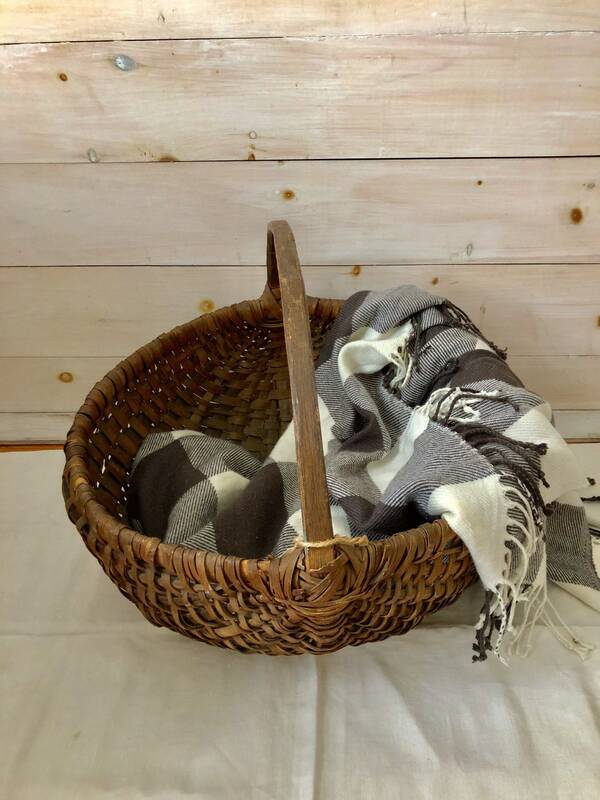 Vintage round basket with handle, some wear as shown in photos. 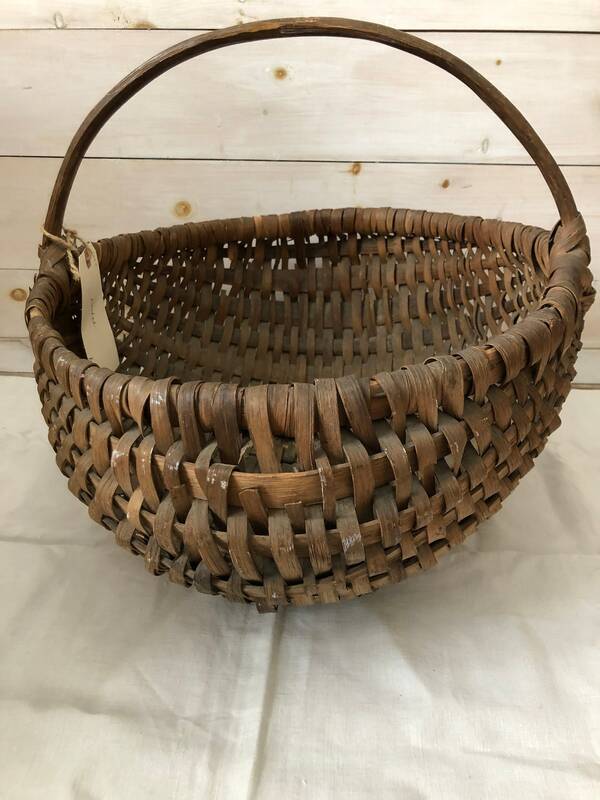 Well made and sturdy otherwise. 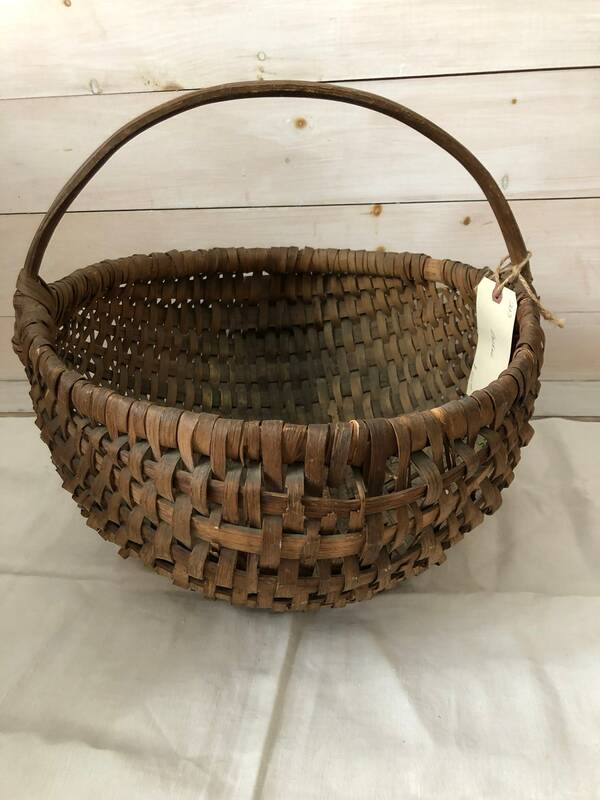 Measures 18” in diameter and 15” tall to top of the handle.